(NaturalNews) A derivative of omega-3 fatty acids may provide some of the same benefit in treating type 2 diabetes as exercise, according to a study conducted by researchers from the Universite Laval, the Quebec Heart and Lung Institute Research Center, and the Institute of Nutrition and Functional Foods, published in the journal Nature Medicine on May 12. Type 2 diabetes occurs when the body loses its sensitivity to the blood-sugar-lowering hormone insulin. Insulin resistance can be an early warning sign for diabetes, which is also linked with obesity, cardiovascular disease, and a diet high in sugar and fat. 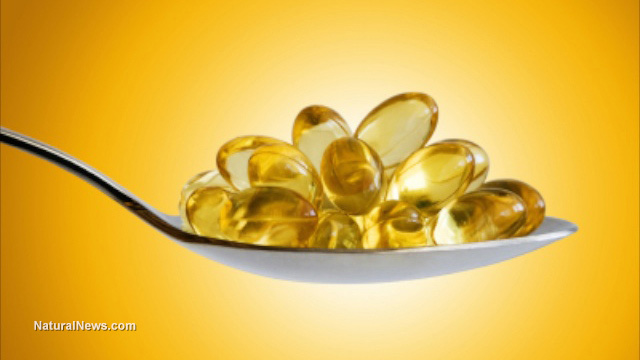 Many prior studies have linked omega-3s to a decrease in insulin resistance. For example, a study published in the Federation of American Societies for Experimental Biology Journal in 2009 found that people who ate more omega-3s had lower levels of insulin resistance biomarkers, while a 2011 study in the European Journal of Lipid Science and Technology found decreases in insulin resistance among participants who took a daily omega-3 supplement. A 2013 study in the journal Public Health Nutrition also found significantly lower insulin resistance in people with higher omega-3 intake, but higher insulin resistance in people who ate more saturated fat. Another recent study, conducted by Finnish researchers, followed more than 2,200 men for almost 20 years. The researchers found that in that time, men with the highest blood concentrations of omega-3s were 33 percent less likely to develop type 2 diabetes than men with the lowest blood concentrations. The same researchers behind the new Nature Medicine paper had previously attempted to discover what it is about omega-3s that helps reduce insulin resistance. In this previous research, they found that much of the benefit could be derived from a bioactive omega-3 lipid called protectin D1. They later found that a closely related chemical, protectin DX (PDX), helped reduce blood sugar levels. When the researchers gave PDX to groups of obese, diabetic rats, they found that the chemical acted on the body in a similar way as physical exercise, stimulating the release of interleukin 6 (IL-6) in muscle cells. "Once in the bloodstream, IL-6 controls glucose levels in two ways: it signals to the liver to reduce glucose production and acts directly on the muscles to increase glucose uptake," researcher Andre Marette said. When they performed the same experiment on mice genetically engineered to be unable to produce IL-6, they found that PDX had almost no effect on blood sugar levels. "The mechanism of action described for PDX represents a new therapeutic strategy for improving glucose control," Marette said. "Its efficacy may be comparable with that of certain drugs currently prescribed to control glycemia." Marette now hopes to develop PDX into a diabetes treatment. Together, he and Universite Laval have filed a patent application for the chemical and its therapeutic uses. "For us, the next step is to demonstrate the antidiabetic effects in humans and determine the receptor through which PDX acts," Marette said. Although PDX stimulated muscle cells to reduce IL-6 in a manner similar to exercise, Marette warned that the omega-3 chemical would not in any way be a substitute for physical activity. "Exercise has cardiovascular and other hormonal benefits that go well beyond its metabolic effects on the muscles," Marette said. According to the Mayo Clinic, omega-3s -- which are found in fish oil, flax seeds, chia seeds, kiwifruit, purslane and canola oil -- have been clinically proven to reduce blood pressure, heart attack risk and the systemic inflammation that leads to many chronic diseases (including diabetes, cancer, heart disease and dementia). They have also been shown to reduce pain and inflammation in people with rheumatoid arthritis.